Well, perhaps 'happy' isn't the right word, because today we're going to be talking about a brand of black metal that is pretty controversial - yes, even for black metal. This sub-subgenre is labeled DSBM, an acronym for depressive suicidal black metal, where the tones were more dreary and drone-like, the lyrics more nakedly introspective and dark... and that's the polite way of getting around how some of these acts could dig into some of the most transgressive and masochistic material both on and off the microphone. And if you do some research into what some of these bands did it can be shocking, enough to push away from exploring more - especially for me, given that I'm not really a huge fan of drone or doom metal and I'm behind schedule as it is - but more research unearthed some articles describing the raw catharsis this subgenre could trigger, that its exploration of such themes through the agency of art gave the artist and by extension the audience some form of release. And while I'm not quite sure I can buy into all of those themes, especially when the bands pair those tones with more conventional, naked aggression, it at least gave me some context. And even with that, I'm not sure I needed to dig that much deeper with Alrakis - from my research, he's a German artist known for blending DSBM tones with a more atmospheric soundscape, which some have branded 'cosmic' black metal. 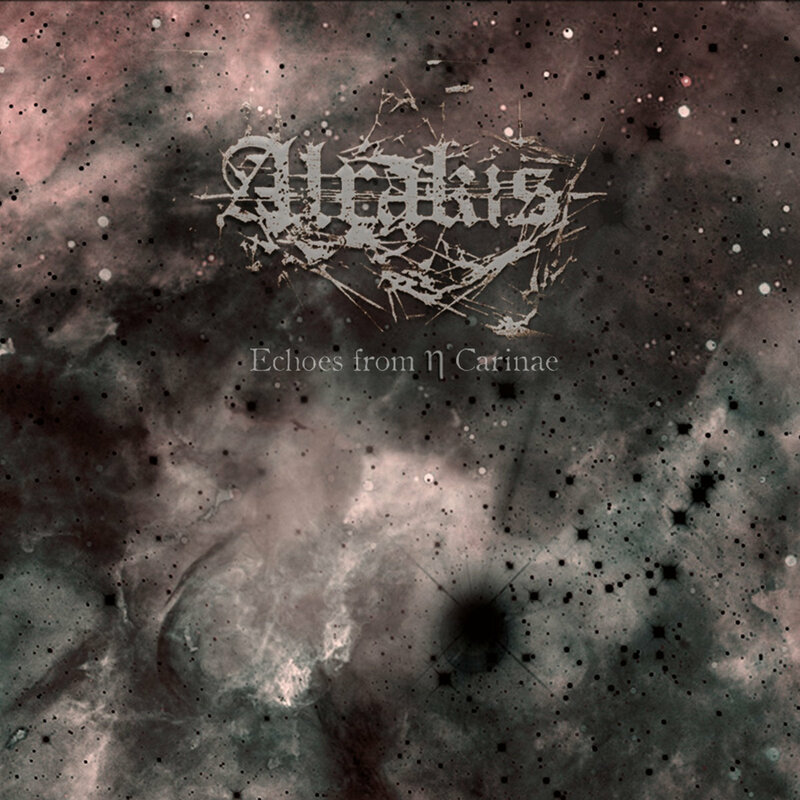 He broke out in 2011 with Alpha Eri, but it's been seven years since, and he had a behemoth project here: a single track, over fifty two minutes long, with the title 'Echoes of Eta Carinae'. And while I initially thought I wouldn't have enough to say - after all, it's just one song - a single listen changed my mind and convinced me I would have to cover this at length. So what was so compelling about this that I took it off the Trailing Edge? Well, here it is: this is a great piece of music, the sort of haunting but transcendently beautiful art piece that to my amazement actually manages to justify its runtime as it bends across atmospheric black metal, shimmering post-rock, glitchy noise rock and even hints of ambient music. I completely see why for the extremely small niche audience that'll be willing to listen to a fifty two minute song this has earned the critical acclaim it's received - but at the same time, this is an exceptionally niche record that while I'll absolutely recommend it, even to a lot of black metal fans this is a tough record to promote or process. Want examples of this? Well, here's the first fact: if you're lucky you might be able to make out two or three words on this entire project. When you hear vocals at all they feel like shrieks from between the stars in the vast emptiness of the space, more noticeable for texture and intensity in the gulf between worlds than any actual message. And while that might be fine for some black metal listeners - who'll be the first to admit lyrics are seldom the most important thing about a project like this anyway - what might be a tougher pill to swallow is that the actual riffs only come in around the nine minute, thirty second mark, a flat buzzy grind reminiscent of broken static cutting through a deep echoing bubble of a beat that takes about five minutes to build any sort of twinkling gloss or melody. In other words, while this might be stating the obvious, this is a record that takes all of its time to build tension and atmosphere, so you are absolutely aching for the crash of tremolo riffing and swells of synth accented melody. And there's no point mincing words: if you want a reason to listen to this record, the melodies are it, from the stunning swell at eleven minutes to the echoing symphonic fragments at about sixteen, from the more defined minor variant of the major riffs to the stabilized synth and ethereal piano at the halfway point, from the slower grinding riffs that roar in, pushing the lead guitar melody higher before it crashes into thinner, darker noise to the flattened crush around thirty five minutes, all before the stuttered collapse at nearly forty minutes into an absolutely gorgeous aria of post-rock and piano to end out the record. And given there is no track separation you find yourself placing significance at the major transitions and shifts - the stuttered grind near the fourteen minute mark, the shift into brighter major keys at twenty-seven minutes that feel no less heartbreaking sad, the guttural thickening at thirty-two minutes and the advent of a piano line near forty-five. Most striking is a bass-heavy rumble that splinters the mix near twenty-one minutes thirty seconds, the most explicit moment of shuddering darkness only slightly mirrored by the faintest melodic flourish near forty-two minutes. And melodically this record is stunning - the easiest comparison is less the surging crescendos and tempo shifts of most atmospheric black metal and more a classical piece where the tremolo shifts are most noticeable as the overall melodic pattern changes keys instead of rhythms... and indeed, percussion almost seems perfunctory on this record. There's no blast beats here, but the toll of deep drums and cymbal crashes fleshing out the texture... and I will admit there's a part of me that questions that choice. Let's get real, for as much as you can get sucked into that huge, textured mix and stunning melodies, at some points your attention will inevitably waver and you'll realize that the central groove barely evolves at all, and without significant solos or examples of greater showmanship, the melancholy can start to tip towards tedium. This was most pronounced for me around the thirty two minute mark, one of the heaviest sections of the record, where the guitar phrases were at their most sour and biting... but at several points where you'd expect a transition to another achingly beautiful shimmer the lead just kept changing keys against the grinding fuzz. And while I'm on that subject, while there are significant metal movements in this piece, almost as much is a very glossy, misty brand of post-rock accented by flat waves of faint synth and repeated piano phrases, and while I was fine with how it fit the lonely emptiness of this mix, so accurately capturing the bleak majesty of space and the near-eternal tension, it will not be for everyone and may throw people looking for more variety in their riffs. But here's the thing: in reading a few other reviews, I dug up what the 'echoes' represent in real life. The Eta Carinae system is a binary star system, with one star orbiting the other and sometimes coming so close that their gravitational fields rip off huge chunks of the other, which triggers eruptions so bright they can seem like supernovas in our night sky, which perhaps might be why the mix always reverts to that deep, bubbling, elliptical echo. It might be why it almost seems like there's a mathematical rhythm to the shifts and contortions how the riffs modulate and swell but never explode - the music of the spheres indeed. And as such... again, this is a crazy niche record, but for my own love of space and music with a cosmic atmosphere, this is netting a solid 8/10 and a recommendation. Folks, you will not hear another record like Echoes From Eta Carinae this year or perhaps even longer, and while it's certainly a strange one, it's definitely worth your time.